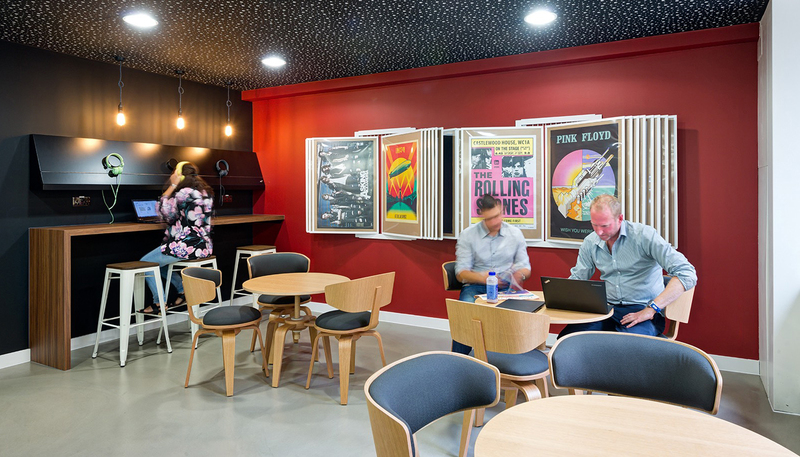 Denton Associates have recently completed the first phase of re-design of the Linkedin offices in London. The contract project is entirely inspired by the city of London with its symbols, present in every environment. Our model Pivot, small armchair and table, was selected for some informal meeting and relaxation rooms, in the different versions in natural oak with seat and back in dark grey fabric, or in black stained oak with seat and back in grey fabric. The project was carried out in collaboration with our partner Task Systems in London.